We are working on collecting information about camps that teach about architecture for kids. 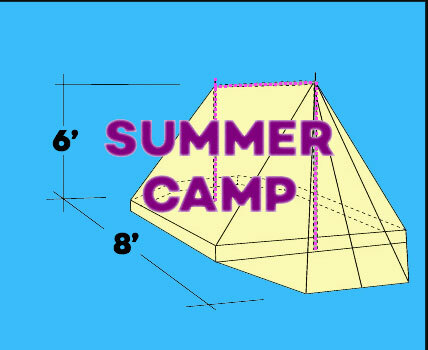 There are a few OTHER ARCHITECTURE CAMPS around. – Please let us know of other camps so we can post the information for others looking to have a fun built-environment kind of summer. Andrews University’s School of Architecture & Interior Design hosts an annual Renaissance Kids summer architecture program, for kids ages 5-16. The first session begins Monday, June 12. Free, weeklong, summer camps to expose kids from underrepresented populations to architecture and the affiliated fields. This camp was created by a Detroit architect, Michael Ford of BRANDNU Design Group. The hope is to provide opportunities for kids to be creative and to get excited about the built environment. An idea expressed by Michael Ford is that hip hop music often expressed ideas about place – specifically urban spaces that were in terrible condition, underfunded and poorly designed. Ford says that “Hip Hop Architecture” can offer a viewpoint for seeing the junction between culture and the built environment.